One of Christian music’s most beloved worship leaders, Kim Walker-Smith has been with Jesus Culture since 1999. In 2006, the group released their first album Everything, and since then has led millions straight into God’s presence through heart-felt worship. 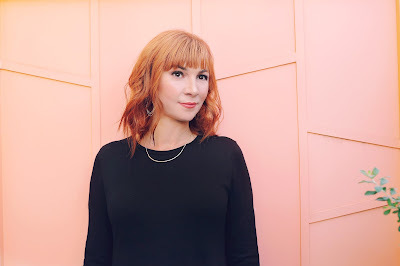 Kim Walker-Smith herself has previously released two albums – 2008’s Here Is My Song and 2013’s Still Believe, not to mention her 2013 duet album with her husband Skyler, and appearances on all of Jesus Culture’s nine live albums. Now, after four years, Kim Walker-Smith delivers her third solo album titled On My Side. Unlike her previous two solo albums, however, this is not a live recording, but rather a studio album. And while half the tracks are 90s pop tracks, and half are the heavenly melodies Kim has brought us for years, one thing is still the same – Kim’s flexible vocals are stunning, and the presence of God is clearly evident on the On My Side album. The title track, Kim’s second single off this album, follows, very serene. Though it doesn’t build much and contains no drums, Kim’s vocals are very passionate, as she sings of God’s faithfulness – even in times when we were unaware of it! After this breathtaking track, two dance/pop tracks follow, again having a 90s sentiment. The fun rhythms mix with the strong messages of these tracks, as “You Define Me” reminds us that “only Your words define me/ You tell me who I am!” and “Rise” speaks of God calling us out of the ashes “to live inside the heart that beats with mine.” I did not expect that Kim would experiment with this genre, as she is a top worship leader, but since this is a genre I particularly enjoy, I was pleasantly surprised by this set of tracks. The final two tracks on On My Side both describe the beauty of God’s presence, but in different ways. While the slower ballad, “Undone” speaks of being wrecked (in a good way) by God’s intense goodness – from the garden of Gethsemane to today and His healing of our hearts along the way --, “Fresh Outpouring” is intense with a cry for a fresh move of God. This closing track has such an anticipation to it, as Acts 2 instantly comes to mind – waiting for the promise of the fresh outpouring God has promised us in these last days. Kim passionately sings “Fresh outpouring/ Tear the fabric open/ Come Jesus, come!” While this closing track builds and fades appropriately throughout, the climax – as with most of Kim’s powerful worship songs – is the bridge, where Kim passionately sings how there is fire in our bones as we wait for Jesus to come and soak the earth with His Holy Spirit. I especially enjoyed the tag nearing the end of the track, where Kim resounds, “Make a way where I see none/ Let the waters rise in the desert” reminding me instantly of Isaiah 35. What a fantastic closing to the On My Side album, a track that personally had me a little disappointed that the album was over, and has so far caused me to play through the album again and again! 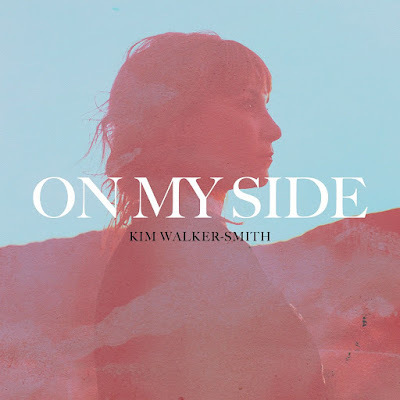 Kim Walker-Smith’s On My Side is definitely a fabulous third offering! While some listeners might be disappointed that only about half the album is synonymous with Kim’s other powerful worship albums, I personally thoroughly enjoyed the wonderful mix of catchy pop beats with anointed worship. Every track resounds with a message of how intensely we are in need of God’s presence – how that is what we live for and were made for – and serves as a reminder to let go and surrender fully to our good God. I will definitely have On My Side on repeat, as it is both an album to listen to during personal prayer time and one with catchy beats to keep you inspired throughout your day.